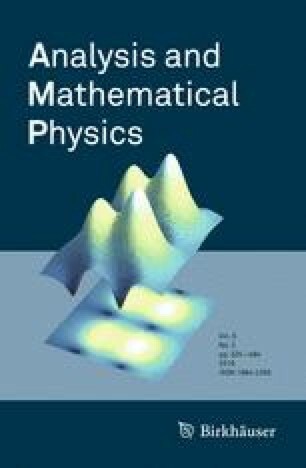 In this paper, we prove the Hölder continuity for solutions to the complex Monge–Ampère equations on non-smooth pseudoconvex domains of plurisubharmonic type m.
This work is finished during the first author’s post-doctoral fellowship of the Vietnam Institute for Advanced Study in Mathematics. He wishes to thank the institution for their kind hospitality and support. This research is funded by Vietnam National Foundation for Science and Technology Development (NAFOSTED) under Grant Number 101.02-2016.06. The authors would like to thank the referees for valuable remarks which lead to the improvements of the exposition of the paper.